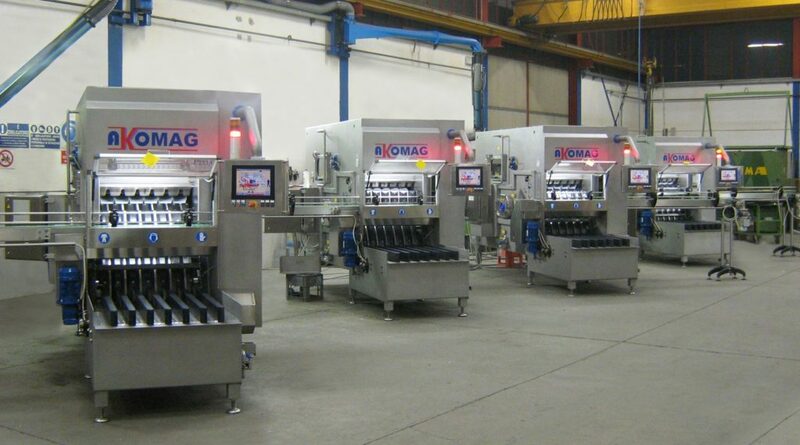 With Akomag machines, automatic washing of recycled bottles has now reached a level of high specialization. 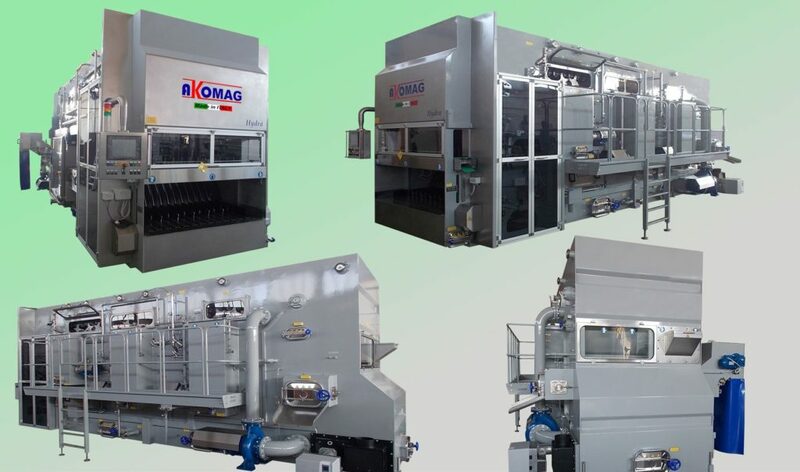 Akomag has been working for many years in the bottling sector, and acquired a considerable experience in the construction of bottle washing machines, rinsers and sterilizers for glass, PET and gallon bottles, as well as crate washers and different additional equipment. The technology developed optimizes the efficiency and operational costs of machines, which even in the more advanced versions are user-friendly. Thanks to its simple modular production range, Akomag has progressively expanded the functions and degree of sophistication of the machines. Examples of this are the special washing and sanitation stations; automatic control of process parameters; safety systems; energy recovery; reduction of discharges; automatic sanitation of the most important parts. The machine design includes all measures that are necessary for health and safety protection of the operator (protections/safety barriers, noise reduction). Traditionally quite bulky, Akomag bottle washing machines today are much more compact, and allow to better exploit spaces in bottling plants. Automatic, silent and compact. The Hydra series comprises completely automated bottle washers, designed to reduce maintenance and cleaning interventions. 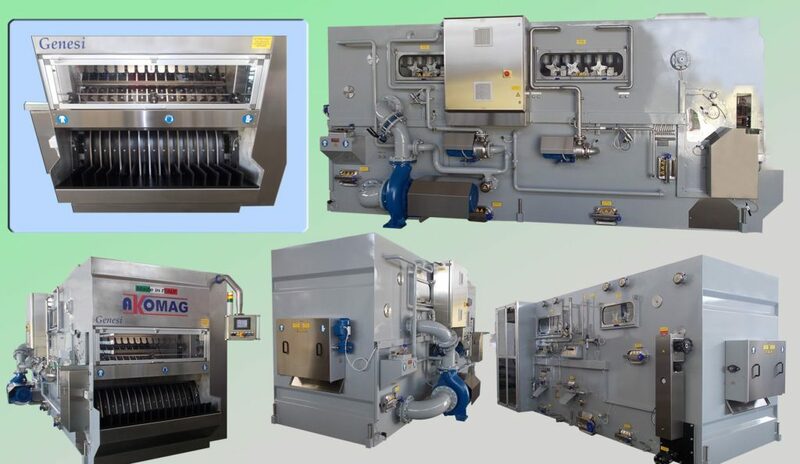 Characterised by extreme ease-of-use, these machines are now available with a more rational wash cycle, divided into three phases: initial bottle-emptying station, followed by a pre-was spraying and a first pre-soak bath that significantly reduces detergent bath pollution and markedly decreases consumption levels. The labels are known to be a problem for the recovery of used bottles. But the double label-removal station of the Hydra series assures their complete removal. A rotating filter, extending over the whole width of the machine, carries them outside the machine. The series of internal and external high-pressure washing sprays with their self-cleaning and self-centering nozzles, wash the bottles with a high-pressure detergent. The highly-effective alkalinity reduction station followed by a series of intern and external rinsing sprays, provides for the elimination of any residues from the bottles with low water consumption. Thanks to its modular construction, the special versions and optionals, the Hydra series can meet all application needs. Alternate cycle and compact construction are the main peculiarities of the bottle washers of the Genesi series, available in the standard and L version. They are ideal for low production capacities, while offering extreme versatility. The washing cycle is very simple but effective. It allows the reduction of running costs (water, electricity, detergent) without affecting the washing results, while ensuring that the bottles are perfectly cleaned, their labels completely removed, and their insides totally emptied. Maintenance being almost zeroed, next to their easy-to-use and clean properties, enable high outputs and very limited machine downtime. The machine’s modular construction enables the client to “build” the machine according to his own particular requirements, adapting it to various application needs (wine, oil, beer, etc.). Its high quality standards and advanced technology, together with skilled and reliable after-sales service, make the Genesi model an excellent starting point in bottling line automation.